Our point of difference lies in our approach to research. 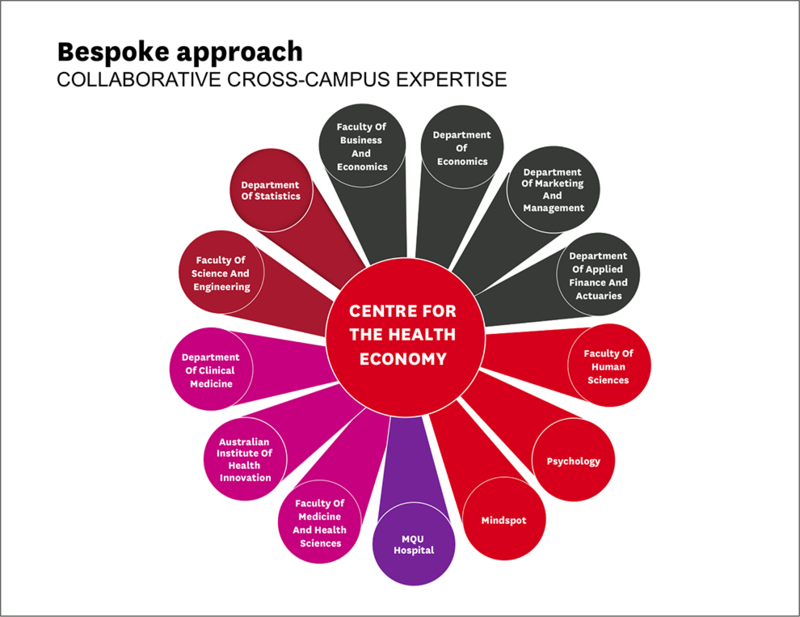 While MUCHE primarily consists of specialist health economists, we recognise that undertaking research in the Health Economy requires many skill sets and experience. We therefore work collaboratively with researchers from across the University, including the Faculty of Business and Economics, Faculty of Human Sciences, and the new Faculty of Medicine and Health Sciences. We also work with Macquarie University's world-renowned research hubs, such as the Hearing Hub and the Australian Institute of Health Innovation. MUCHE operates a hub and spoke model to ensure collaboration across the University runs smoothly. Together, Centre staff, industry partners and affiliate researchers from across the Campus deliver qualified, independent information that can be relied upon.